Ever since Trey Flowers became a household name in the football community, he has proved to be a great asset to every team he has played for. From high school to college, and then the National Football League (NFL), the footballer has been doing a great job, having recorded laudable achievements in his young age. Flowers apparently isn’t the strongest, biggest, or toughest in the league but he has successfully won the hearts of football critics, who consider him one of the games powerful defensive end to watch out for. Currently, the player represents the New England Patriots in the NFL. He is easily recognized for his No. 98 jersey, which he cherishes so much. The defensive end was born Robert Lee Flowers III on the 16th of August 1993, in the United States of America, precisely in Huntsville, Alabama. The son of Jacqueline Flowers and Robert Flowers, he was educated at Columbia High School, Huntsville, where he played basketball and football. Towards the end of his stay at the school, Trey Flowers was ranked by Rivals.com as a three-star recruit. Upon completing his high school studies, the footballer committed to play college football at Georgia Institute of Technology but he later switched his interest to the University of Arkansas, where he finally joined other players to represent the institution in football competitions. During his stay at Arkansas, the player garnered 18 sacks and 47.5 tackles for loss, forced four fumbles, broke up 13 passes, and intercepted another, ending it on a good note (as a second-team All-SEC selection in the year 2013). As a true freshman in 2011, he started 13 games with three starts, as a sophomore in 2012, he started all 13 games (gaining 13 tackles for loss, 50 total tackles and six sacks), as a junior in 2013, he started 11 games and missed one as a result of injury, finishing the year with five sacks, 13.5 tackles for loss and 44 total tackles. In 2014, Trey decided to forgo his senior year to enter the 2014 NFL Draft but after the NFL Draft Advisory Board awarded him a third-round draft grade, he changed his mind and went back to Arkansas to complete his senior year. The footballer eventually ended his college career with 13 passes defended 18 sacks, 47.5 tackles for loss, 190 tackles, four forced fumbles, and one interception. Trey Flowers launched his professional career in the year 2015 after he was picked as 101st overall in the fourth round of the 2015 NFL Draft. This followed his brilliant performance at the 2015 NFL Combine in the broad and vertical jump. According to authoritative sites, he was acquired with the pick from the Tampa Bay Buccaneers together with Wall Township, New Jersey-born tight end Tim Wright in exchange for Catheys Valley, California-born guard Logan Mankins. Upon entering the first preseason, Trey sacked Aaron Rodgers in a game against the Green Bay Packers, but later suffered a shoulder injury that ended his play time. He was later placed on injured reserve on 1st December 2015. Trey’s big break came in the 2016 season following an injury-plagued rookie season. He gained his first double sacks in week 8 in a game against Buffalo Bills. He earned the sacks while tacking on five tackles on quarterbacks EJ Manuel and Tyrod Taylor. Flowers also ended the season leading the New England Patriots in sacks with 7.0, having featured in all 16 regular season games. On February 5, 2017, Trey helped his team with 2.5 sacks that saw the Patriots win the Atlanta Falcons in Super Bowl LI. The year 2017 was another super season for the star, as he opened it with 2.0 sacks on September 7, in a game against the Kansas City Chiefs. The Huntsville-born player led the Patriots with 6.5 sacks after starting 14. He also proved influential in the team’s triumphant entry to Super Bowl LII even though they lost 41-33 to the Philadelphia Eagles, with Trey gaining 5 tackles in the Super Bowl. 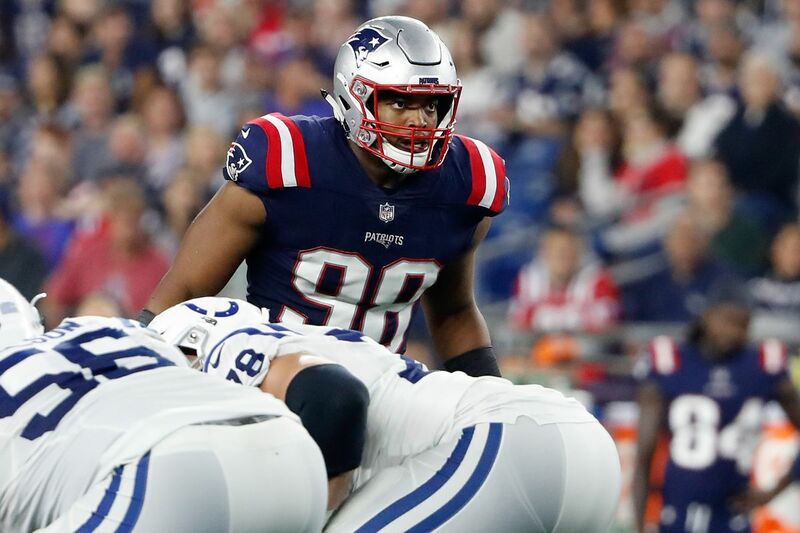 Trey Flowers was ruled out of the game in a week 2 loss game against Jacksonville in 2018 after suffering a concussion. The football player has 10 siblings – some are half sisters and brothers. He’s the seventh child in the Robert dynasty. Trey has four sisters named Jazzmine, Summer, Jacqueise, and Shanequa and five brothers named Rod, Jamal, Ced, Josh, and Joshua. The siblings were taught hard work from childhood by their father and today, most of them have reaped the fruit of their efforts in the form of athletic scholarships. Rod, a basketball scholarship earner, was the first Robert brothers to go to college. He had a stint with Tennessee State as well as the Tampa Bay Buccaneers. Jamal also played as a standout offensive lineman after bagging a football scholarship to Middle Tennessee. Trey’s sister, Jazzmine, is a soccer player who had a stint at Alabama A&M. The Huntsville-born player is not married but he is a father of two kids he had with his girlfriend, Tyler Rae Smith. They had their first child, a daughter named Skylar Amour in 2013 while their second bundle of joy Shylo Reign was born on November 30, 2018. Not much is known about Smith but we learned she is a super mom who loves her family to bits. She is also very supportive of Trey Flowers’ career. Trey Flowers has been able to accomplish so many tasks on the field through the help of his height which many consider as an advantage to his career. He may not be the tallest but his height of 6 feet 2 inches has never posed a challenge to his game. The player’s weight is recorded to be 120 kilograms, which is the same as 265 lb.